There’s four days left of the Big Butterfly Count 2014. The charity Butterfly Conservation hopes that thousands of participants will spend 15 minutes to log 1m butterfly sightings – beating last year’s record of 800,000. Nature lovers are being asked to count butterflies for 15 minutes during bright (preferably sunny) weather. Records are welcome from anywhere, including parks, school grounds, gardens, fields and forests. If you are counting from a fixed position in your garden, count the maximum number of each species that you can see at a single time. For example, if you see three Red Admirals together on a buddleia bush then record it as 3, but if you only see one at a time then record it as 1 (even if you saw one on several occasions) – this is so that you don’t count the same butterfly more than once. If you are doing your count on a walk, then simply total up the number of each butterfly species that you see during the 15 minutes. The charity said: “Butterflies react very quickly to change in their environment which makes them excellent biodiversity indicators. 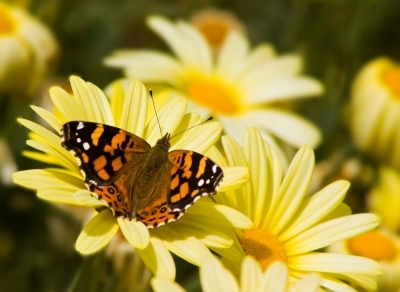 Butterfly declines are an early warning for other wildlife losses. You can download a handy identification chart to help you work out which butterflies you have seen and submit separate records for different dates, and for different places that you visit. You can send in your sightings online at www.bigbutterflycount.org or by using a free smartphone apps available for iOS and Android. By tracing nearly 3,000 genes to the earliest common ancestor of butterflies and moths, scientists have created an extensive “Tree of Lepidoptera” in the first study to use large-scale, next-generation DNA sequencing. Among the study’s more surprising findings: Butterflies are more closely related to small moths than to large ones, which completely changes scientists’ understanding of how butterflies evolved. 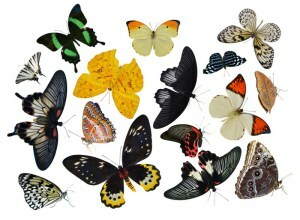 The study also found that some insects once classified as moths are actually butterflies, increasing the number of butterfly species higher than previously thought. 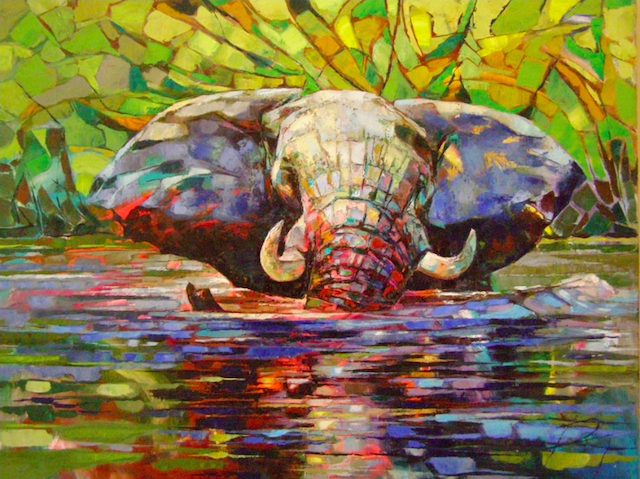 Elephant in the River by Radka Kirby, part of Wildlife Artist of The Year exhibition. The David Shepherd Foundation’s Wildlife Artist of the Year opens at Mall Galleries on Tuesday, 3 June. Shortlisted works will be available to view and buy at the galleries from 3-7 June, exhibited alongside work by David Shepherd and selected guest artists. All sales go towards raising funds and awareness for endangered wildlife. The David Shepherd Foundation works on a small number of carefully selected wildlife projects in Africa. See last year’s winning artworks here. 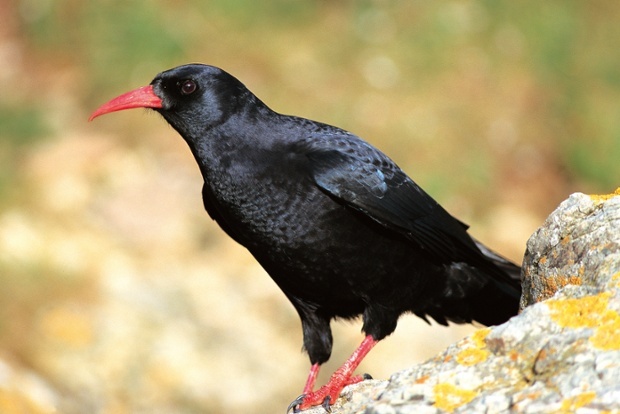 A national survey to assess the population of one of the UK’s rarest birds, the chough, is being launched by conservationists. The study aims to give a picture of how the birds are faring across the UK after years of decline. In Scotland, choughs are only found in a small area of the south-west, with 90% concentrated on Islay, where numbers have struggled. A team of surveyors has now begun work to chart the fortunes of the “acrobatic” birds, known for their striking red bill and legs and flamboyant flying style. Researchers are particularly concerned about the survival rates of young birds in their first year. It is thought that variations in weather and food abundance could be having an impact on the survival rates. Information gathered will help target conservation efforts for the recovery of the species in areas where it is in decline. The survey is a joint initiative between RSPB, SNH and the Scottish Chough Study Group, which has been monitoring the birds on Islay since the early 1980s. The UK Green Film Festival 2014 celebrates seven powerful environmental films that will tour the country from 1-8 June. This year’s line-up includes international award-winning films, and explores some of today’s big environmental issues. The films will be screened in 17 venues in 15 cities across the UK, including Clapham, Greenwich and Hackney Picturehouses. The Last Catch. 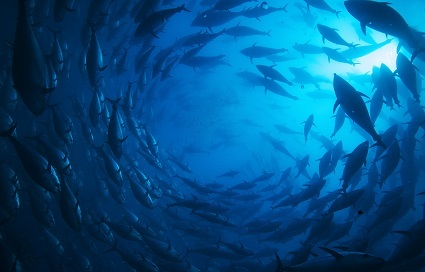 A study of the tuna industry’s impact on both the fish and those who catch them. Lost Rivers. An exploration of the subterranean network of rivers beneath London, Montreal, Toronto and Brescia that house the secrets of each city’s past. A River Changes Course. Winner of the Grand Jury Prize for Best Documentary at Sundance 2013, chronicles the influence of rapid urbanisation on three families in Cambodia.